Mary of Guise was born at Bar in France on the 22 November 1515. She was the eldest of the twelve children of Claude of Lorraine, Duke of Guise and Antoinette of Bourbon, daughter of Francis, Count of Vendome, and Marie de Luxembourg. In 1534, at the age of eighteen, Mary, who was tall and attractive with auburn hair, was married to Louis II of Orleans, Duke of Longueville, who held extensive estates in Normandy and the valley of the Loire. The marriage produced two sons, Francis, the future Duke of Longueville (1535-1551) and Louis, who died young. The Duke of Longueville died in June 1537, probably of smallpox, leaving Mary,a widow at twenty one. Two months later, Mary's hand in marriage was sought by James V, King of Scots whose young wife Madeleine of Valois had recently died, and also by King Henry VIII of England, a widower since the death of Jane Seymour. King James was attempting to strengthen the 'auld alliance' with France, Mary was not over eager to enter into the match with the formidable Henry VIII and when he remarked on her fine stature she retorted with the witty repartee that although her body was big, she had a very small neck. Mary was married to James of Scotland by proxy in Paris in May 1538 and at in person at St Andrews after her arrival in Scotland. The couple had two two sons, James (b. May 1540) and Robert (b. April 1541), who died within a few days of each other in April 1541. During James' reign, Protestantism began to gain influence. His refusal to join his Protestant uncle in plundering the church's revenues angered the notoriously intolerant and bombastic Henry VIII. The death of James's mother, Margaret Tudor, in 1541 removed any incentive for peace with England. Henry invited James to a conference at York, the Scots King did not trust his overbearing uncle and deemed it unwise to attend. Henry was humiliatingly left to await his attendance at York and gave vent to his usual venomous fury when any dared to defy him. The Scots experienced a crushing defeat by the English at Solway Moss on the 24th November, 1542, where many of the Scottish lords were taken prisoner. King James took the affair very badly. His emotional nature lead him into deep depression over the event with an over-riding sense of defeat and humiliation, made worse by constant worry about the fate of his favourite Oliver Sinclair, who was reported to have fled. The King, who did not take part in the battle as he was ill with a fever, retired to his palace of Linlithgow, in a continued state of great mental anguish. He then moved onto Falkland. Here he received the news that his pregnant Queen had been delivered on 7th December, 1542, not of the much hoped for son and heir to Scotland, but a daughter, christened Mary. James, now totally crushed and in a state of severe anxiety and foreboding lamented piteously "Adieu, farewell, it came with a lass and will pass with a lass", referring to his dynasty's position on Scotland's throne being established by Marjorie Bruce's marriage to his ancestor Walter Stewart. Six days later, on 14th December, 1542 the King died. He was but thirty years old. James was buried at Holyrood Abbey beside his two young sons and his first wife, Madeleine of Valois. Mary's ally, Cardinal David Beton, the head of the French and Catholic party, produced a will of King James V which assigned the regency to himself. The fiery and fanatical Protestant reformer John Knox accused the queen of undue intimacy with Beton, and further similar allegations were raised in 1543 by Sir Ralph Sadler, the English envoy. Beton was arrested and James V's kinsman, James Hamilton, Earl of Arran, was appointed regent of Scotland. Through his paternal grandmother Mary of Scotland, Hamilton was the great grandson of King James II of Scotland. After the death of John Stewart, Duke of Albany, in 1536, Arran became the next in line of succession after the king's immediate family. The ambitious Arran planned to secure the hand of the infant heiress to Scotland for his own son. In a desire to dominate Scotland, Henry VIII of England ardently wished to arrange the marriage of the infant Mary, Queen of Scots and his son and heir, the future Edward VI. This led to internal conflicts in Scotland between those who preferred alliance with France. 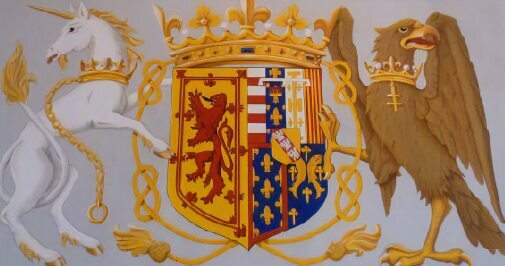 Following the coronation of the nine months old Queen at the Chapel Royal, Stirling Castle in September, Mary of Guise was apointed a principal member of the council appointed to rule Scotland in her minority. 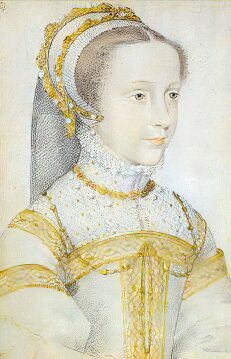 Mary planned to secure a French alliance for her daughter. The marriage treaty between Mary, not then one year old, and Edward was signed on the 1st of July, 1543 at Greenwich, and agreed that Mary should be placed in Henry's care when she reached the age of ten. Mary and her daughter were carefully observed at Linlithgow, but on the 23rd of July, aided by Beton, 1543 they managed to escape to safety of Stirling castle. In 1544 Mary made a premature attempt to seize the regency, but a reconciliation with Arran was brought about by Cardinal Beton. Beton was later assassinated byProtestant lords. The English invasions of 1547, to enforce the marriage, referred to as the 'Rough Wooing', provided Mary with the desired excuse for a French alliance. After the Scottish defeat at the Battle of Pinkie Cleugh in September 1547, French military aid weakened English resolve and increased the power of Mary of Guise. In June 1548 a French fleet, under the command of Andre de Montalembert, seigneur d'Esse, landed at Leith to reinforce the Scots army, and laid siege to Haddington, then in the hands of the English. The Scottish parliament agreed to the marriage of the young queen with Francis, the dauphin of France, to secure her safety from Henry VIII's designs, Mary Queen of Scots sailed from Dumbarton for France in August 1548. Mary and Francois were brought up together at the French court and were married on 24 April 1558. Her father-in-law, Henry II of France wrote 'from the very first day they met, my son and she got on as well together as if they had known each other for a long time' She spent the rest of her childhood at the French court. Mary of Guise devoted her energies to the expulsion of the English from Scotland. 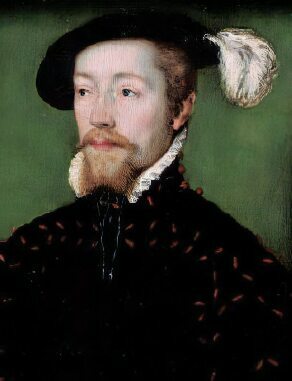 In September 1550 she obtained confirmation of the dukedom and revenues of Chatelherault for the Earl of Arran from Henry II of France, hoping to induce Arran to resign the regency. The offer was refused until April 1554, when Arran finally resigned after receiving assurance of his rights to the Scottish succession. Mary's granting high offices of state to Frenchmen caused ill feeling to the growing Protestant party in Scotland. Mary on 6 September 1550 to visit her young daughter Mary in France. At Rouen, the Dowager Queen and her daughter, the Queen of Scots rode in procession behind troops carrying banners depicting Scottish fortresses recently recovered by the French. She remained at the French court at Blois over the winter, in April Mary received news of a plot to poison her young daughter, the culprit Robert Stewart, who was discovered in London was delivered to the French in May. Mary spent the rest of the summer at the court of King Henry II. Sadly, while accompanying her to Dieppe on her return journey to Scotland, Mary's son Francis, Duke of Longueville, with whom she had kept up a regular correspondence, died at Amiens in 1551 at the age of sixteen. Mary landed at Portsmouth and in October 1551 she met the young King Edward VI of England. At a meeting with Mary which took place at Whitehall Palace, Edward presented her a diamond ring which had belonged to his step-mother, Henry VIII's sixth and final wife Queen Catherine Parr. In 1557, a group of Scottish lords known as the 'Lords of the Congregation', drew up a covenant to 'maintain, set forth, and establish the most blessed Word of God and his Congregation'. Outbreaks of iconoclasm followed in 1558/59. In 1558, Mary summoned the Protestant preachers to answer to her, but was forced to back down when the lords threatened revolt. With the accession of the Protestant Queen Elizabeth I in England in 1558 the Lords of the Congregation began to receive to secret support from England. Mary Queen of Scots also possessed a hereditary claim to the throne of England, through her grandmother, Margaret Tudor, eldest daughter of Henry VII. Elizabeth was considered by the Catholics to be illegitimate, and on her accession, Mary Stewart's father-in-law quartered the arms of England with those of the Queen of Scots, thereby declaring her the true heiress to England. Elizabeth was never to forget this insult and her father-in-law's actions were to have disastrous results for Mary in the future. As the Scottish Reformation crisis was developing, Henry II of France died on 10 July 1559, and the young Mary Stuart became Queen Consort of France. Among the Mary's ambassadors were the Protestant Earl of Argyll and James Stewart, Earl of Moray, the treacherous illegitimate son of James V. When Mary stationed French mercenaries in Perth, both abandoned her cause and joined the Lords of the Congregation at St Andrews, along with John Knox. Edinburgh fell to the Lords of the Congregation in July, and Mary was forced to retreat to Dunbar. The Articles of Leith at Leith Links, signed on 25 July 1559 established religious tolerance in Scotland. In September, James Stewart, Duke of Châtelherault was appointed leader of the Lords of the Congregation and established a provisional government. 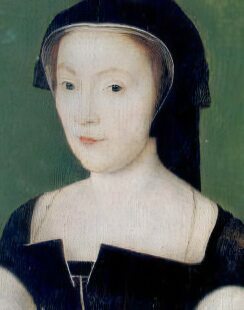 Mary of Guise received aid from France in the form of troops and in November the rebel lords were driven back to Stirling. An English fleet arrived in the Firth of Forth in January 1560, resulting in the retreat of the French to Leith. Negotiations with England commenced , from which Knox was distinctly excluded, his unfortunate tract 'The First Blast of the Trumpet Against the Monstrous Regiment of Women' although it had been aimed at the Catholic Mary Tudor, had met with the stern displeasure of Elizabeth I. The Treaty of Berwick signed in February allied Châtelherault with the English with the aim of expelling the French. Elizabeth I dispatched an English army to join the Scots in besieging the French at Leith. Mary fell ill during negotiations to end the conflict in May of 1560. She suffered from congestive heart failure and was experiencing symptoms of dropsy. On her deathbed she urged the warring parties to make peace and declare allegiance to Mary, Queen of Scots. On June 8 she made her will and died on June 11. Her body was wrapped in lead and kept in Edinburgh castle for several months after which it was taken to France where she was buried in the church at the Convent of Saint-Pierre in Riems, where her sister Renée of Guise was abbess. At the end of 1560, Mary, Queen of Scots husband Francois II of France died of a middle ear infection which led to an abscess in his brain and Mary returned home to a Protestant Scotland which now despised her Catholic religion as dark clouds gathered on the horizon.